Exit popups are a marketer’s magic wand. Kind of. They enable you to stop your visitors just before they leave your website so you can survey them, collect their email addresses, convince them to stay, or almost anything you’d like. 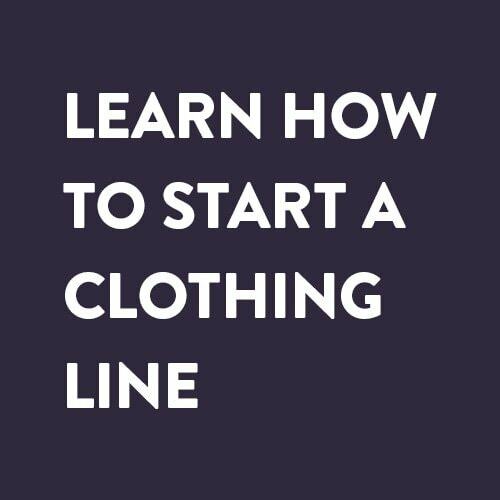 But just like magicians have to practice before they manage to transform a person into a rabbit, it takes time and practice to fully understand how you can use exit-intent popups to convert visitors into leads or clients. 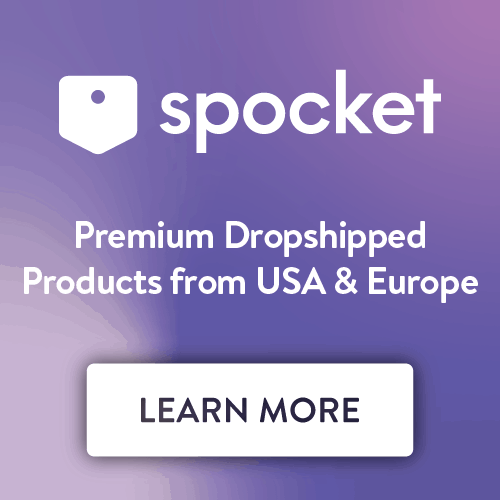 Today I’d like to share what I’ve learned as the Head of Growth for a popup solution company so you can avoid making the same mistakes some of our customers have made and instead, create better exit popups. Before detailing how you can design great exit popups, let’s stop for a minute and define what they are and how they work. Exit-intent popups are based on a script that tracks the user’s mouse movements. As soon as the mouse reaches the top edge of the screen — such as when the user is about to close the window — it triggers the exit popup. As its definition suggests, it works only on desktops. Some equivalent popups are being tested on mobile, but without the same results (see the Exit Popup Tip #5: Pick a Plan B section for more details). Exit popups are highly popular among marketers, and for good reason. 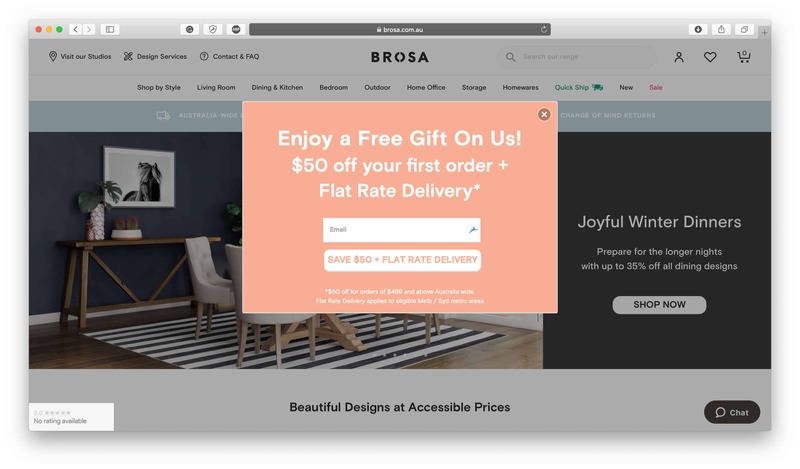 First, because this kind of popup doesn’t interrupt the user during their navigation like other types of popups do — the popup will appear at the end of the navigation when the visitor is finished browsing. As a result, exit popups feel way less intrusive than popups displayed while scrolling or upon landing. Marketers also like them because they offer a second chance to convert visitors. Take the following example for instance: When a user is about to navigate away from the webpage, they’re offered a chance to order samples which is the first step towards converting them into a customer. 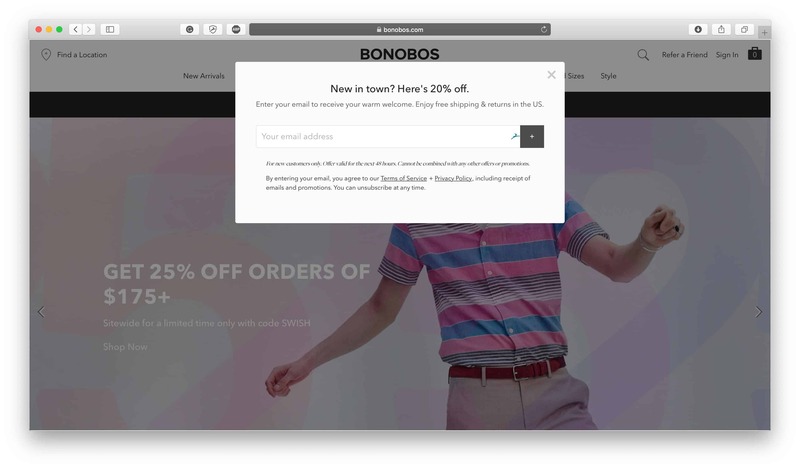 Exit-intent popups are also easier to manage than other types of popups because they don’t require you to set your campaign’s timing — the timing is instead set on a visitor’s action. 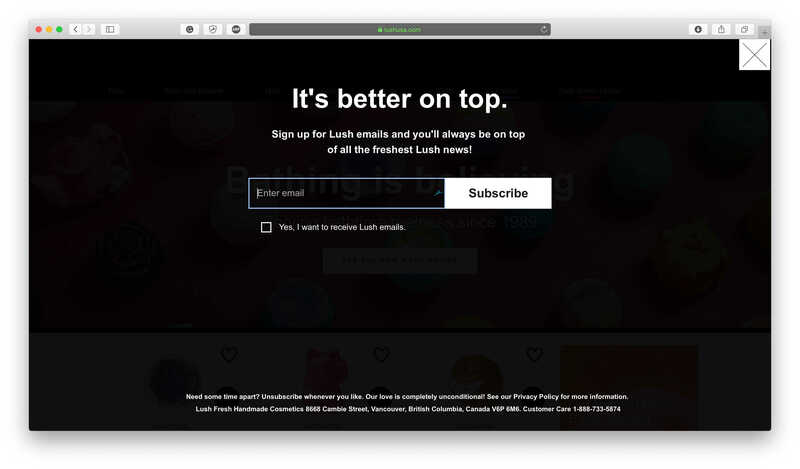 Last, but not least, exit popups are a scalable technique. 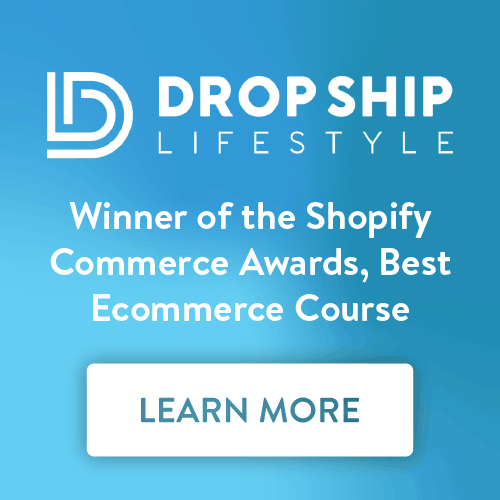 Unlike ecommerce store live chats, you don’t need to have someone sitting at their desk waiting for visitors to engage with them, it’s 100% automated. While exit popup popularity has soared in recent years, most marketers use the same templates and strategies. Our five years of experience with exit popups taught us that there was a significant gap between average and good popup campaigns. Let’s see how you can make your popup campaigns better. Exit popup design is often all but subtle: Large format, bright colors, and eye-catching visuals. Why? Because you only have a few milliseconds to catch your visitor’s attention before they drift away. As a result, you need a creative they can’t miss. Whatever your popup objective, whether to capture emails or retain visitors on-site, you need a good reason for your visitors to pay attention. In our experience, sweepstakes and coupons work best to help you reach your marketing objective. Coupons will cost you more but work better to help convert users into customers. Rewards like these can multiply your popup’s conversion rate by up to ten times — see the example below which shows the evolution of the conversion rate of one of our clients’ exit campaigns. Their conversion rate went from 0.6% to 5.7% after they added a chance to win a pair of headphones to their popup. Chances are you attract different types of visitors to your website. For example, you have visitors coming to your website to buy shoes, others come to buy clothes, etc. These different types of visitors won’t react the same way to the same messages and incentives. That’s why you’ll need more than one exit popup campaign. I likely would have seen a different campaign if I had exited on a different page. You can also create a different popup for new and returning visitors. New visitors are usually harder to convince to subscribe so using a bigger discount than you would offer to returning visitors will help you maximize the chances that new visitors sign up for your newsletter. To stand out from the crowd, you need a message that will convince your visitors to pause and do what you’d like them to do. Apart from your popup design, one of the best strategies is to use humor. As we said earlier, exit popups don’t work on mobiles and tablets but given the growing importance of mobile devices, you need an exit popup strategy for these kinds of devices. A simple Google search will give you some scripts that help you detect these kinds of events. You need a specific design as well, to comply with Google guidelines on mobile interstitials and make sure your popup is adapted to touch controls and smaller screens. But this topic is worth an entire article. So you’ve designed your exit popups (I insist on the plural) and created a mobile variant. What’s next? You need to track your exit popup campaigns’ results and test improvements. Displays: It’s especially interesting to compare the number of displays you get with the total number of displays you could get. Make sure you display an exit popup on each of your most popular exit pages. You can use the “Exit Pages” report in Google Analytics to identify your top exit pages. Click-Through-Rate: Exit popups including a reward usually convert around 4% of visitors. If you’re getting a lower percentage, you need to work harder on your copy and design or find a reward that speaks to your audience. Goal Completion: Premium popup builders offer an option to track the percentage of users who converted into buyers after seeing or clicking your popup. This metric is especially interesting to monitor if you’re looking to retain abandoned carts. Reward: A lot of our customers test the value of the coupon they offer. This helps them identify the value that maximizes their return on investment. Design: Do some colors convert better than others? What kind of visual actually converts the most users? Copy: Should you add some social proof to your popup? What kind of wording works best? 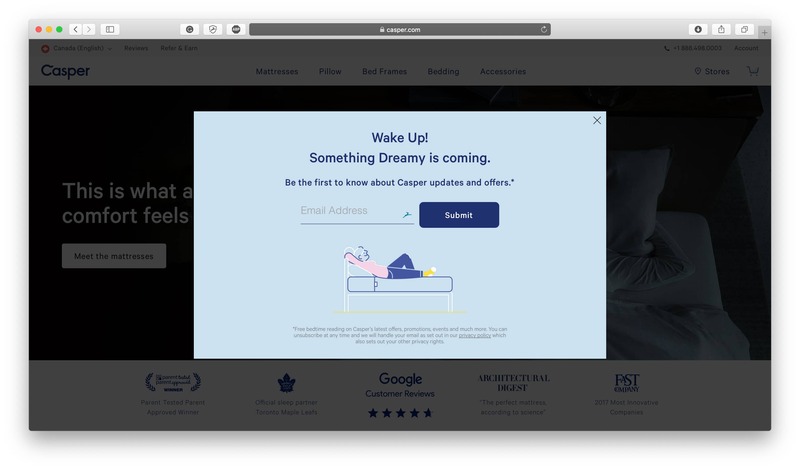 Once your campaigns are live, it’s important that you set up a connection between your popup campaign and your email marketing tool. Not only because uploading your contacts manually is painful but because it’s also best practice to strike “while the iron is still hot.” In your case, it’s important that you email your subscribers before they forget about you or start doing something else. 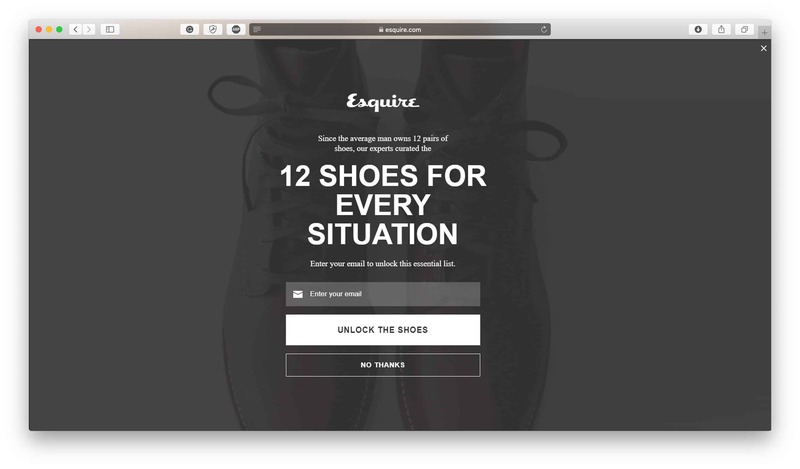 Exit popups are a kind of magic but to harness their conversion powers, you’ll have to make them your own and adopt a strategy that distinguishes them from the popups used by your competition. Using eye-catching design, good copy, and valuable rewards should help you stand out from your competitors. Give it a try, and see what a difference it makes! 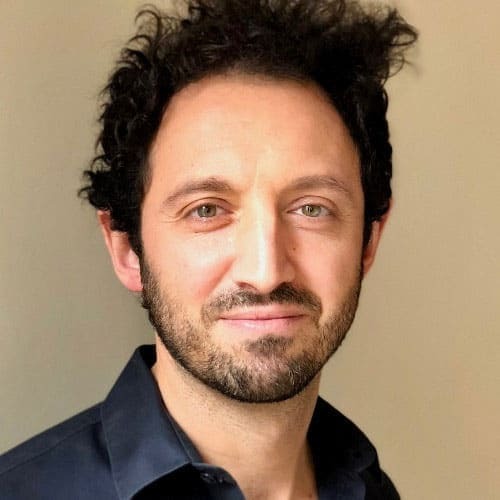 Ben Cahen is the CEO and founder of WisePops, a website popup builder. He’s an ex-investor and ex-Amazon.